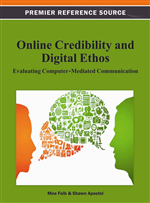 The purpose of this chapter is to investigate the intersection where digital media studies meet rhetoric and rhetoric is re-introduced to musicology. In the recent academic excitement surrounding game studies, the music of games has been overshadowed. The author would like to call attention to the significance of game music and to consider a rhetorical method to approaching it that calls upon a rekindling of the history of coupling rhetoric with music. The author builds on this history by suggesting the foundation of a rhetorical framework for understanding the argumentative power of video game songs. He then moves to offer an approach for evaluating the ethos of game music that consists of assessing worlds and how they are carried through, and by, music. While 17th century baroque composers thought music to be fundamentally an issue of affections—and especially played off of emotional binaries such as joy/sadness as a rhetorical approach—the author hope to here revive this lost art of applying rhetoric to music through broadening the discussion beyond the matter of human emotion. This rhetorical approach allows the individual a framework with which to evaluate the ethos of game music as it now appears through numerous mobile operating systems, online environments, and as remediated forms manifesting in/as cultural artifacts. As games become ubiquitous, so do their songs. The ethos of game music is found in its particular capacity to carry a virtual world. But game songs also carry experiential memories and mythical narratives, subtleties and inspirations, human sparks. The inviting ethos of game music has inspired a remix culture to recreate and reimagine sounds across genres, across realities. This remix culture has developed an ethos of its own: one that welcomes musical boundaries to be crossed and encourages experimentation through the sharing and replaying of retro video game scores. Though there has been a great amount of heated debating surrounding the status of games as art—and thus its music—there seems to be a growing understanding that the affective, self-speaking power of game music will hold an important place in a global, musical culture. Yet, we must not be all-praising, and approach video game music with a critical ear and a rhetorical lens to seek for its meanings, interpret its purposes, peek at its origins and assess its value. Music in itself is an immersive, mysterious human activity. When coupled with the immersive nature of games, we must be doubly conscious. I offer in this chapter a few conjectures at how we might think about the credibility of video game music and how we can analyze it rhetorically. The approach I use is partially musical, partly theoretical, and wholly exploratory, as these are new ambiences in which we all wade. Though much has been said about the significance of games in society, education, and in human expression and argumentative purpose—McGonigal (2011), Gee (2003), and Bogost (2007, 2011) respectively—it may be noted that the aspect of game music has been overshadowed by other concerns within the burgeoning web of scholarship surrounding digital media and game studies. The relationship between music and perception in cultural studies has been raised to a point of pivotal concern—with work that has explored the cultural significance of popular music and music videos by Frith, Goodman, and Grossberg (1993)—such that it no doubt warrants our attention and has warranted much attention. Yet there is room for alternative musics in this discussion, and there is room in the realm of rhetoric for the discussion of music. The music of games, so prevalent, and so fundamentally different in their composition, function, and form, has gone largely unassessed. In her careful work Game Sound, Karen Collins (2008) noted that “removing audio from games… can significantly affect gameplay” (p. 136). I would like to posit a turn to this statement: removing gameplay from the audio may significantly affect our conceptualization of the game. For example, what is it about game music that especially lends itself to remix culture, to fan-made music, to fervent re-imaginations and often, even, re-orchestration? So often, our exposure to video game music is outside of traditional gameplay. This playing-beyond-the-game into the physical world, into the hands of amateur or experimenting musicians and experienced arrangers, is a significant element of game music. Game music inspires not just re-creation, but re-invention. Imagine a pedagogy of music or composition that promoted critical originality over recitation and memorization: improvising outside of boundaries, play with malleable rules.